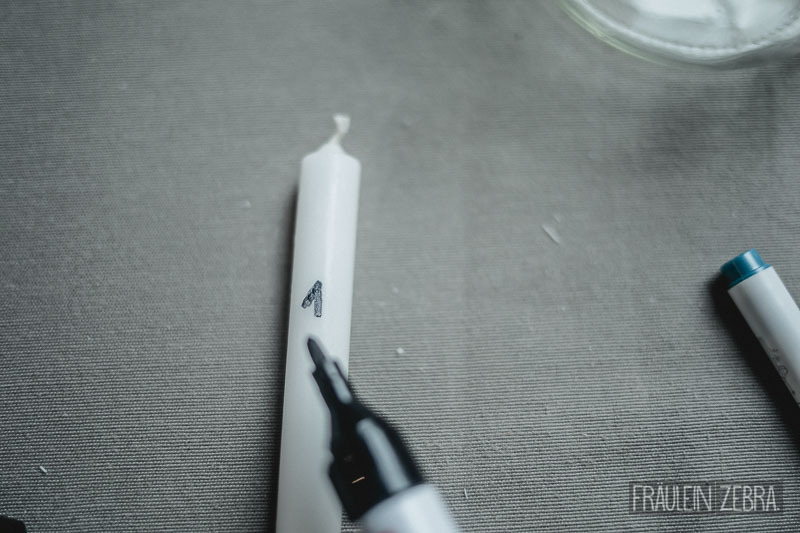 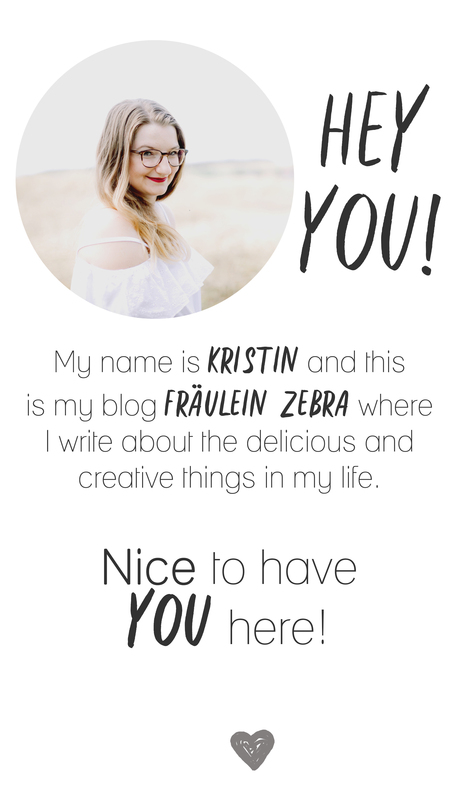 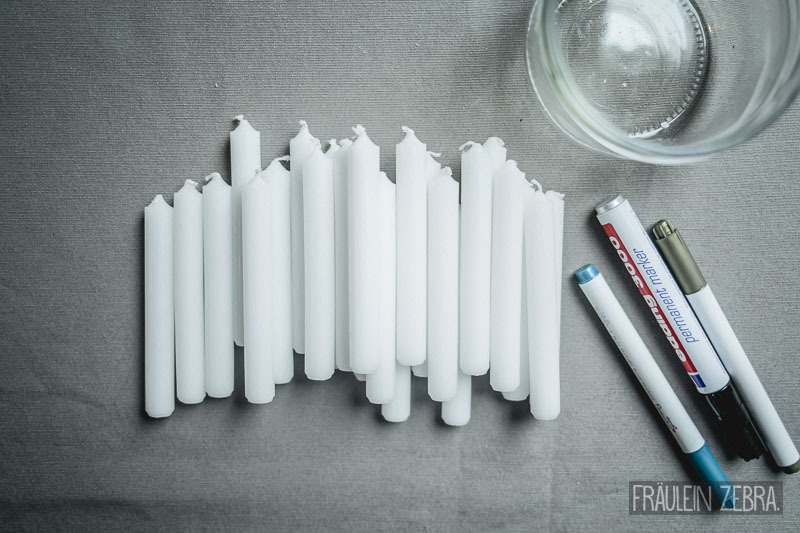 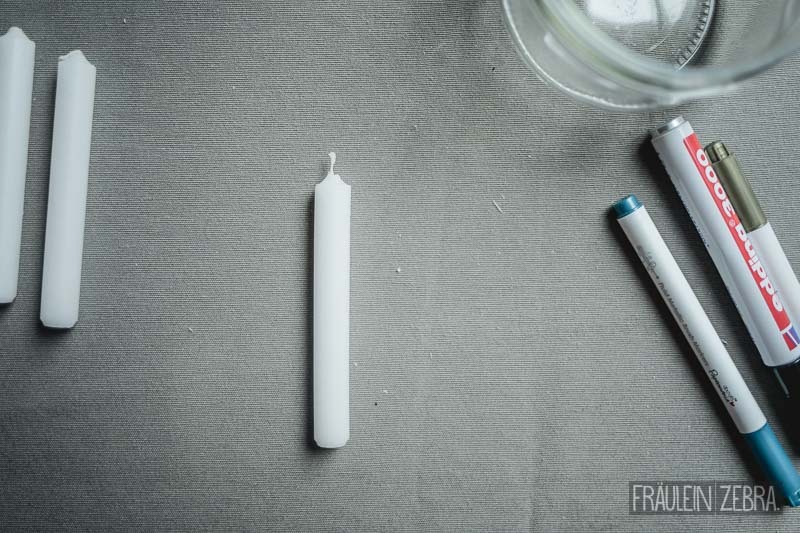 DIY Candle Advent Calendar – Fräulein Zebra. 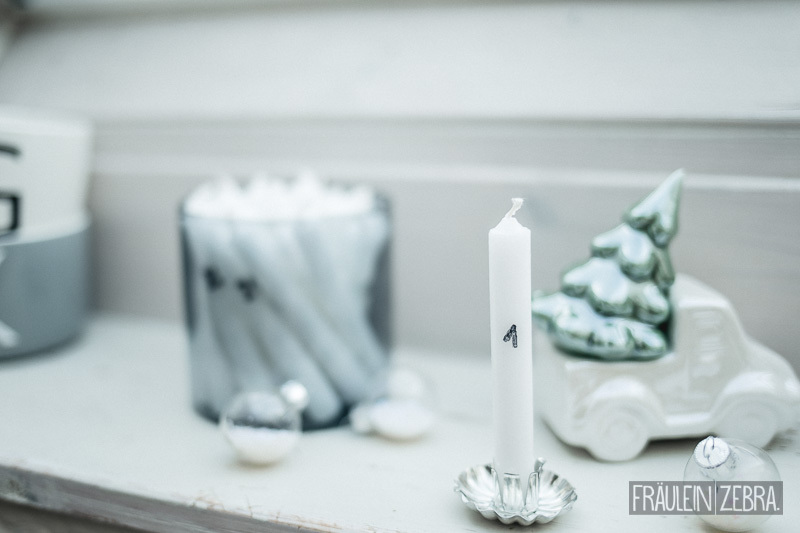 Today it’s time to officially start the (pre-) Christmas madness here on the blog! 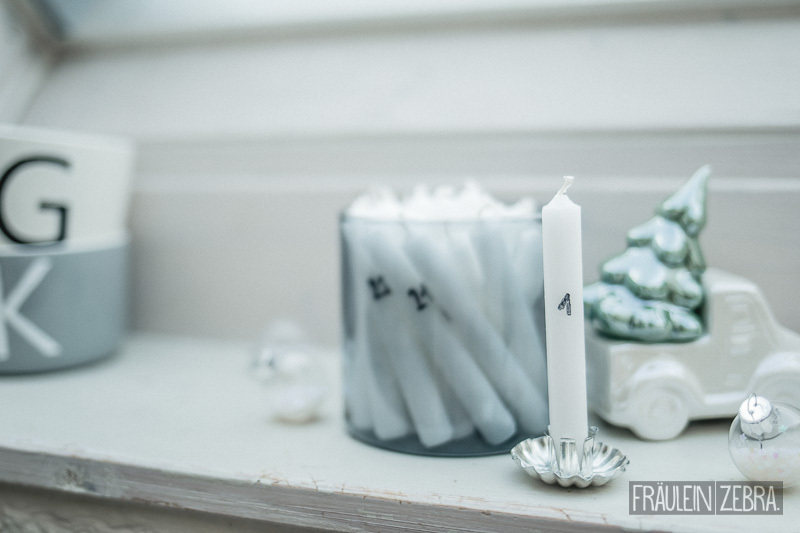 While preparing for Christmas we make ourselves comfortable & gradually get everything in order for the festivities. 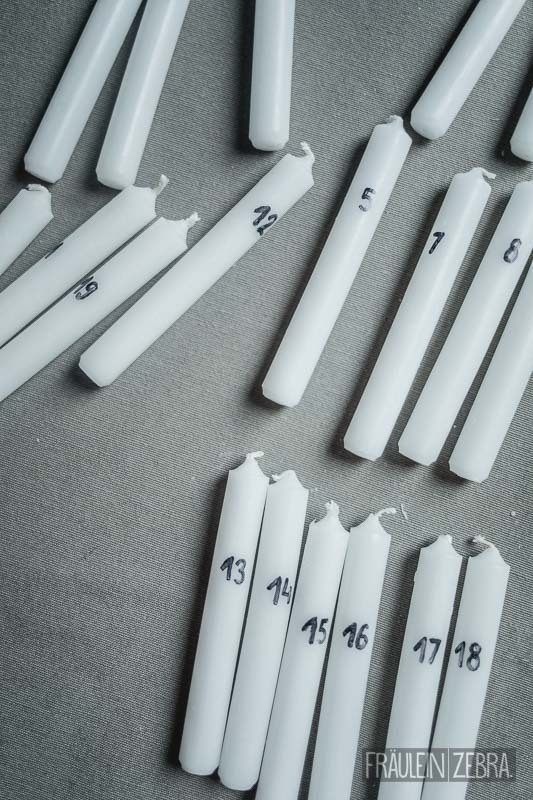 I’m sure it’s similar for many of you as well, and for me advent calendars haven always been an important part of this special time – even at the age of 27 I definitely do not feel too old for it, after all, there are so many great calendars to buy (like the wine advent calendar got myself as a treat) ♥. 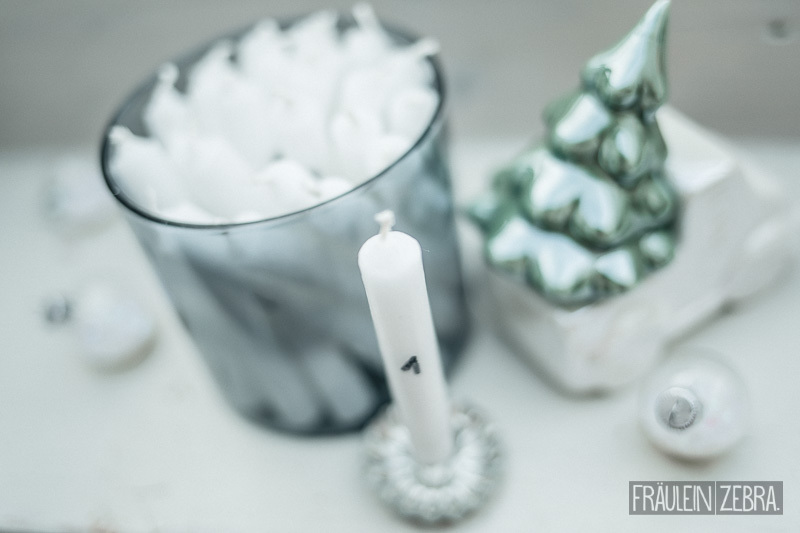 Let's celebrate the holiday season in a relaxed way: candle by candle Christmas will come a bit closer! 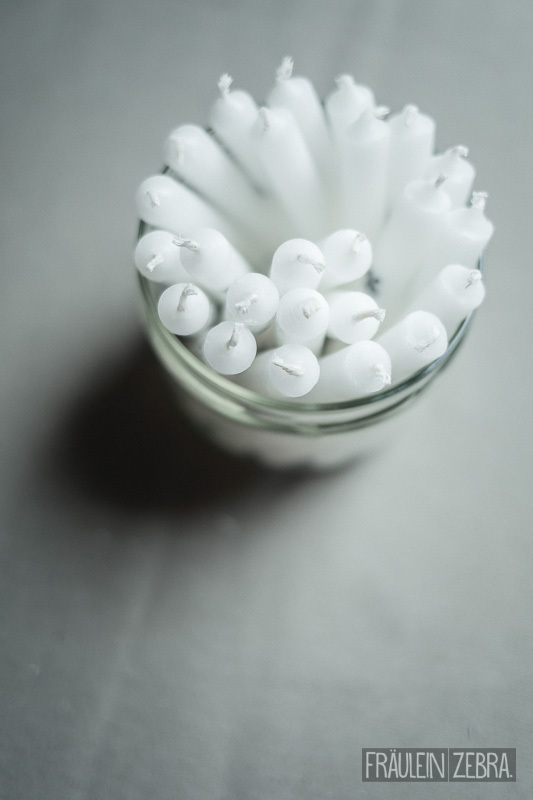 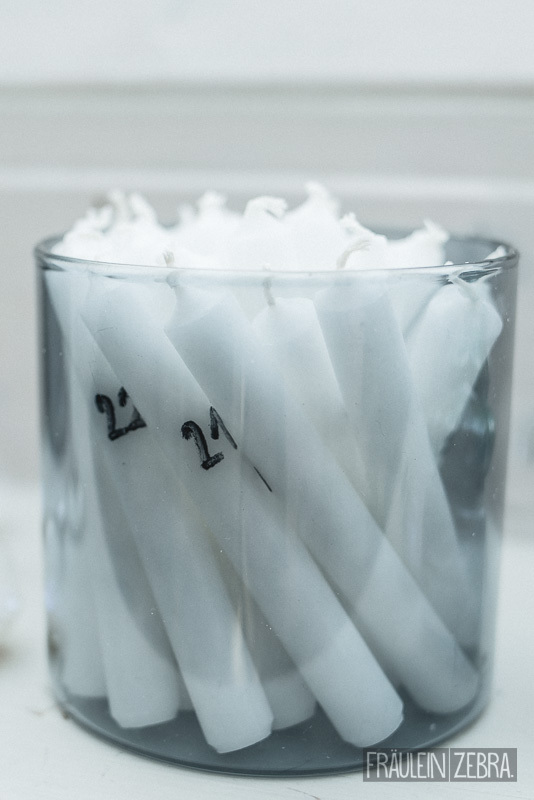 Lay the 24 candles in front of you and carefully label with the pen with numbers 1-24. 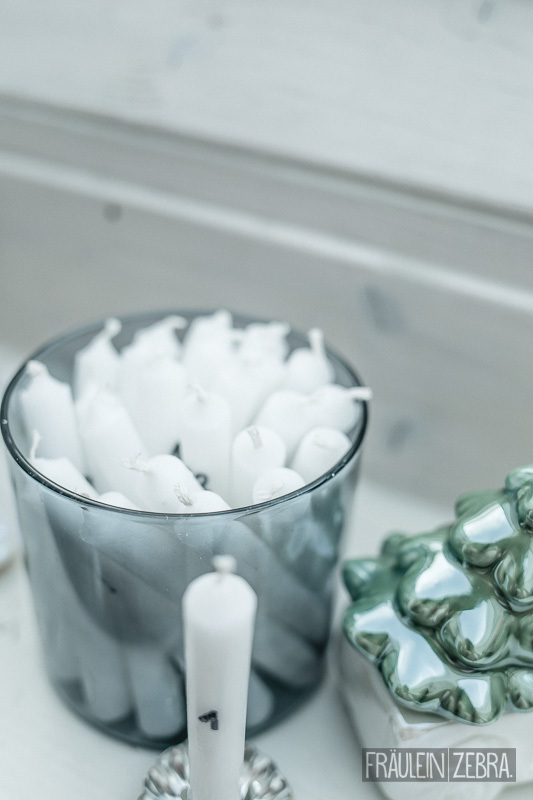 TIP: For a consistent placement, it is best to lay a 'comparison candle' next to the new candle to determine the correct position for the next number. 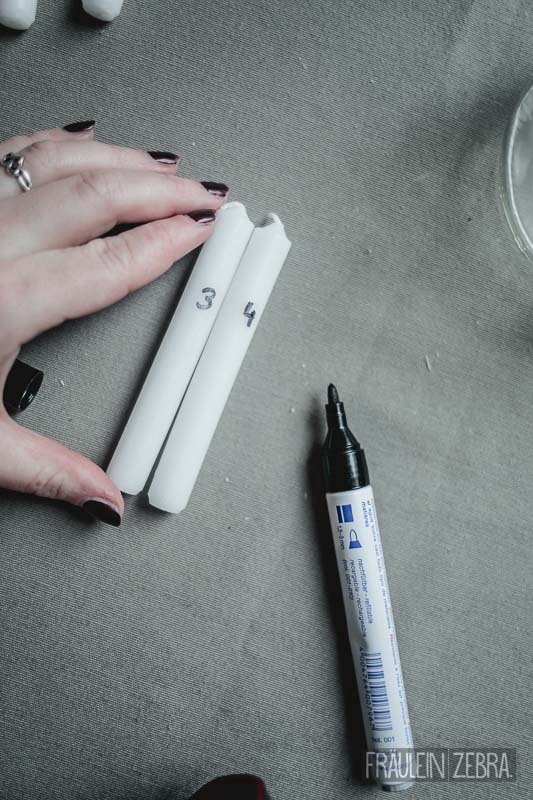 Let the writing dry and then place in a nice container. 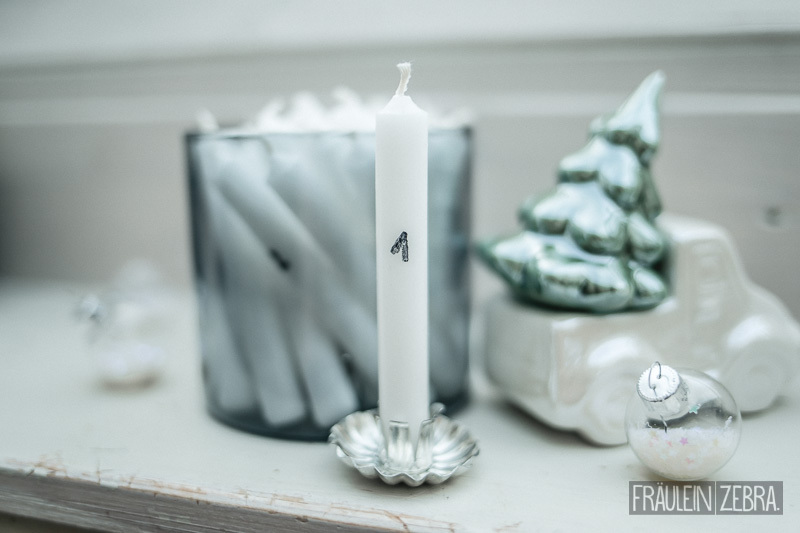 Decorate it nicely together with the candle holder and your advent calendar is ready!